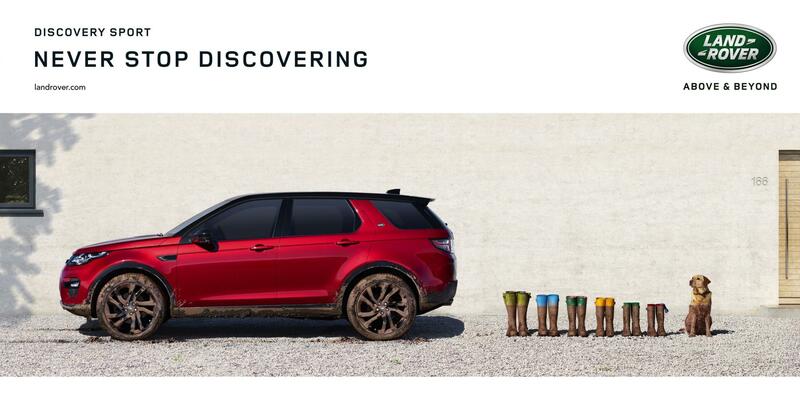 The Land Rover advert – Never Stop Discovering. We have a primal urge to ‘look on the other side of the mountain’, to escape, walk, run, swim and discover new things. This idea is about encouraging people to chase down discovery. It seeks to inflame the itch to explore all those places, people and activities that remain unexplored to them. It will naturally inspire the mini and massive adventures, special moments and legendary stories. We were approached by the team working on the latest Land Rover campaign- Never stop discovering to supply some realistic artificial mud that was safe for use with animals. They required the Land Rover, wellington boots and a dog to be ‘dipped in mud’.